Animoto is a video creation service that makes it easy and fun for anyone to create and share extraordinary videos using their own pictures, video clips, words and music. 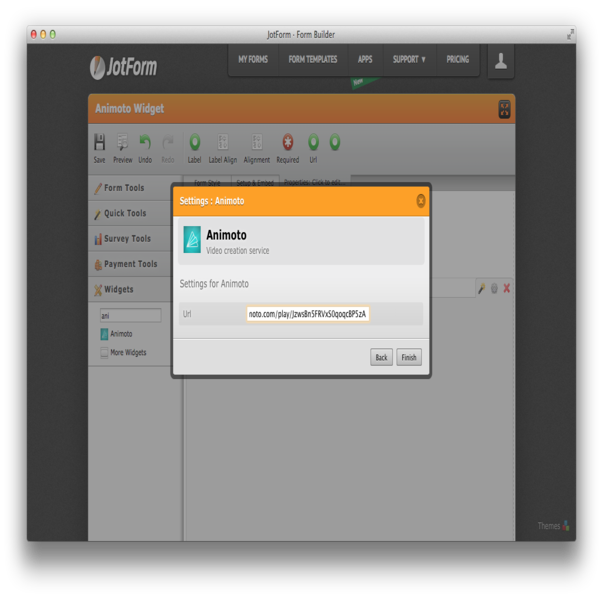 Why use Animoto with JotForm? With a single action, you'll be able to add your Animoto videos to your JotForm form and share them with family and friends easily. 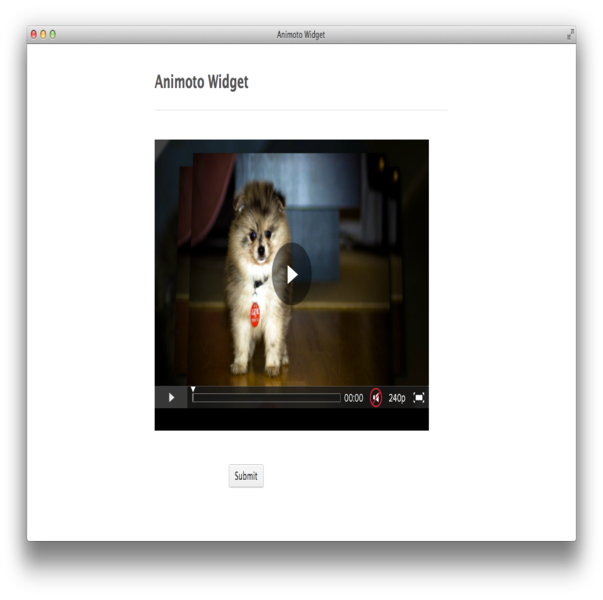 Give action to your forms, make them stand out, and look great with Animoto.